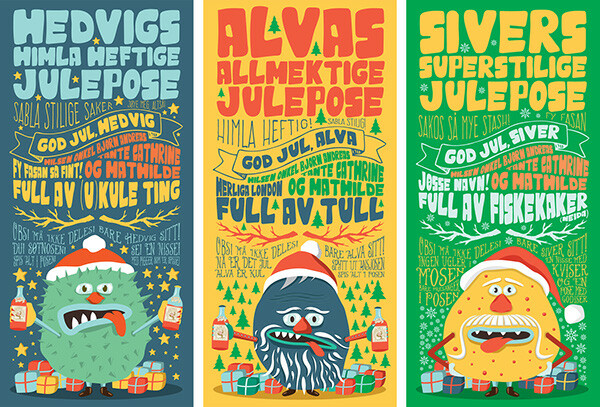 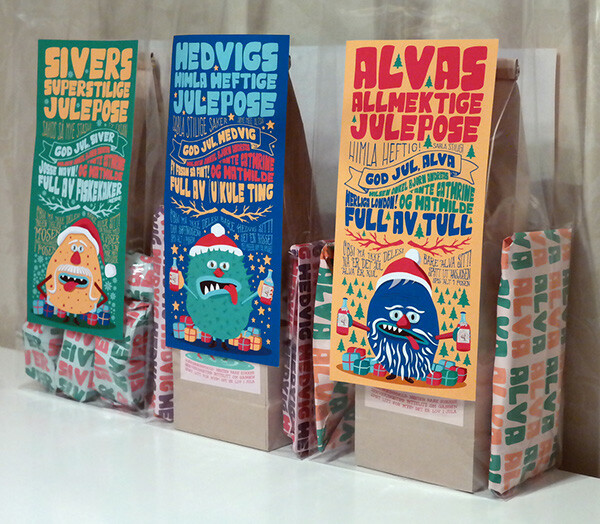 Instead of buying a single gift from the toy store for my nieses and nephew for christmas, I decided to give them their own personalized christmas bags, filled with funny gadgets and candy, with unique labels for the bags with playful christmas illustrations and typography. 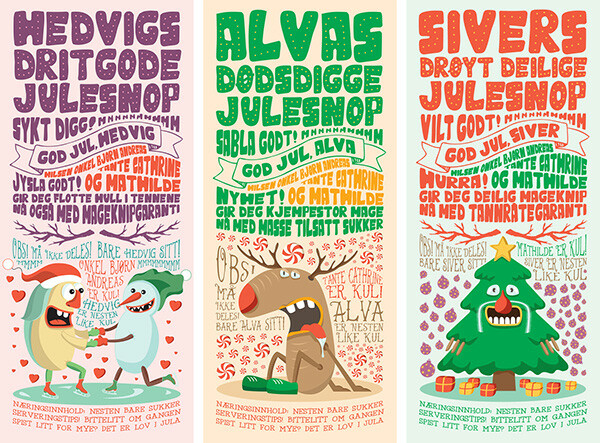 The labels used for the paper candy bags. 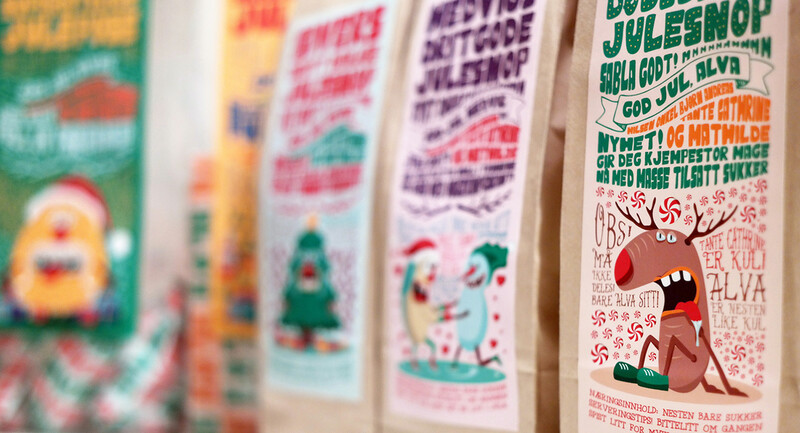 All the labels printed and placed on both sides of each bag. 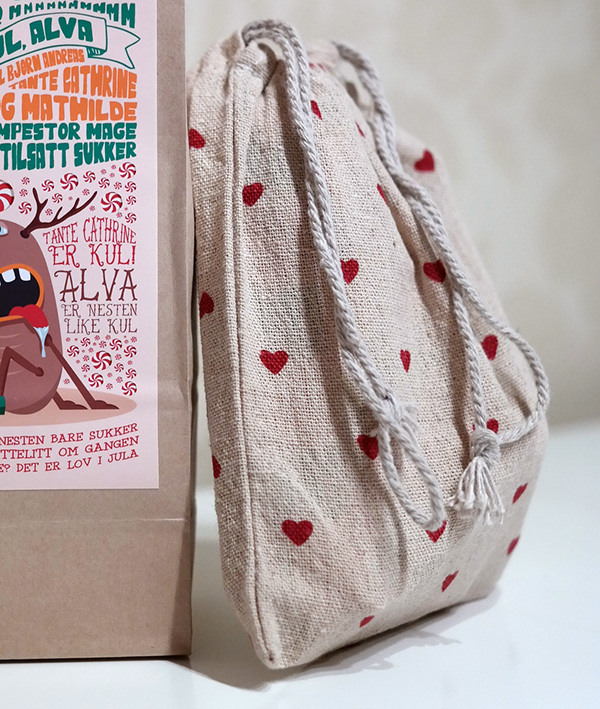 The biggest gifts are wrapped in custom wrapping paper with the kids' names, while the smaller gifts are wrapped and placed into a small cotton bag with hearts. 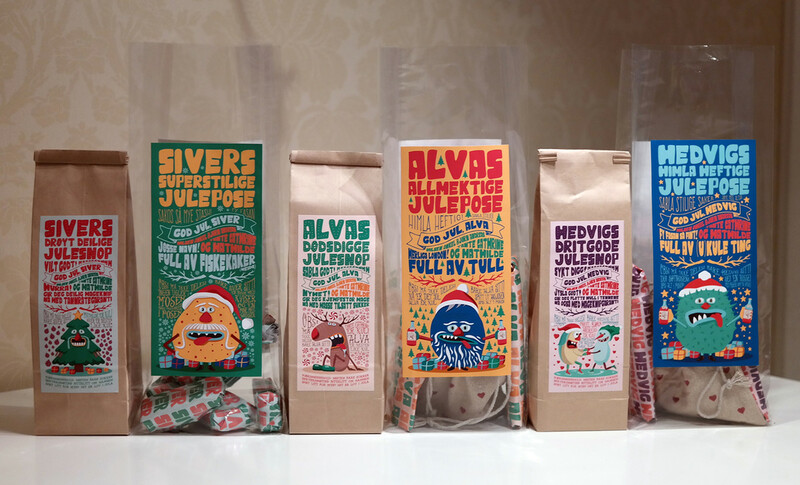 Instead of buying a single gift from the toy store for my nieses and nephew for christmas, I decided to give them their own personalized christmas bags, filled with funny gadgets and candy, with unique labels for the bags with playful christmas illustrations and typography. 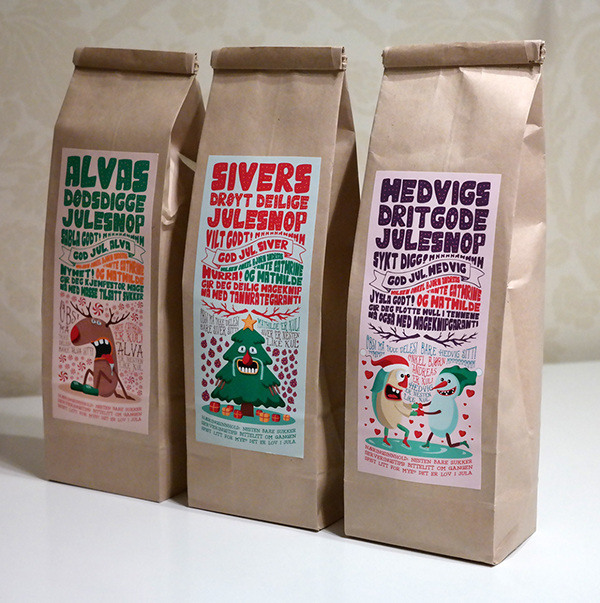 They better like them, because I've spent too much time on these in the busiest time of the year!